‘We take the best meat, fish and produce; cook them with a touch of fire to make the best tasting food we possibly can’. That’s the simple approach to our Feasts at Manna from Devon; a celebration of good food, traditionally prepared and cooked, some might say rustic. 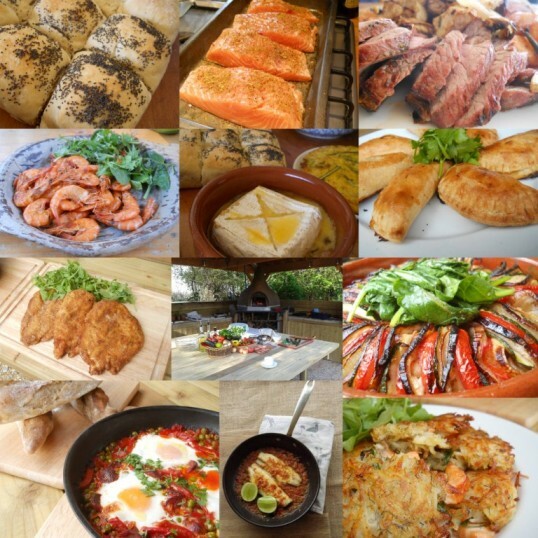 For these events we’ll cook everything in the wood fired ovens or over fire and you’ll get to eat amazingly good food. We’ve been using fire to cook here at the school for over 10 years. During that time we’ve come to realise just how much the subtle addition of smoke and fire can add to food. Our Fire Feasts are a great way to see what we’re all so fired up about. We provide the food and our friends from Michael Sutton’s Cellar provide delicious wines to match each of the courses. The feasts take place in our fully insulated tree house and we’ll provide everyone with a blanket, but if you feel the cold, it’s best to layer up. Spaces are limited so please call us direct on 01803 752943 to book. We look forward to seeing you soon. Each menu will comprise at least 4 courses and coffee and include a few glasses of wine. Please inform us in advance of any special dietary requirements. No dates yet for 2019 – come back soon! Sunday Lunches are back. Join us at 1pm and we’ll sit down to Sunday lunch at 1.30 for an afternoon of relaxed dining and general conviviality. Private bookings – if you have a group of friends you’d like to bring for one of our informal suppers, give us a call and we can check the diary to fit you in. We’re fully enclosed, cosy and can fit up to 24 of you. Celebrations, birthdays, Christmas or just because you want to get together. Let’s chat! 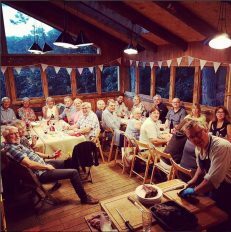 Our Pop Up Steak night – such fun! !